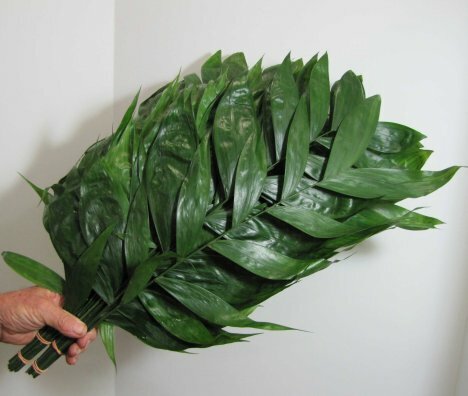 Before I choose flowers for this wedding, I select the greenery I want to use to frame in the design. 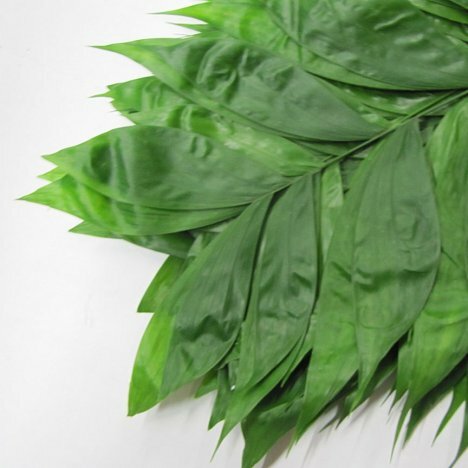 Jade, Emerald and other broad leaf ferns are often used by florists for basic greening in of large floral containers. The greenery is cheap and fills in quickly. 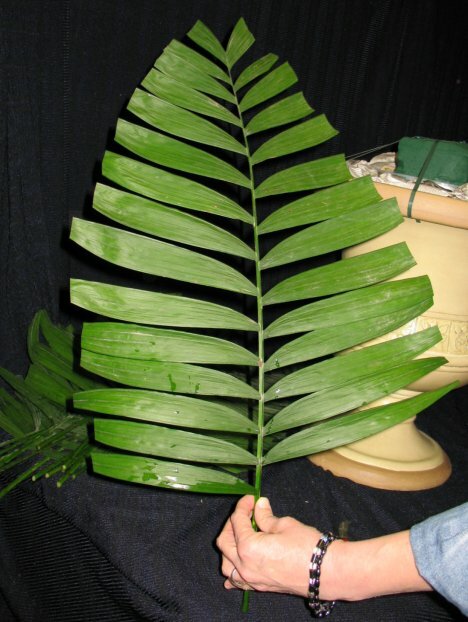 The large leafs are needed for impressive "show" from a distance of 20 feet or more from the floral arrangement. Greenery often has a murky white residue (usually from hard water residue). 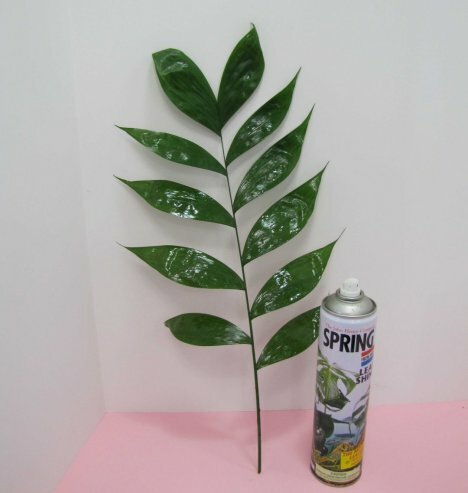 Florists use a plant polish leaf spray to give the leaves an attractive glossy green finish. 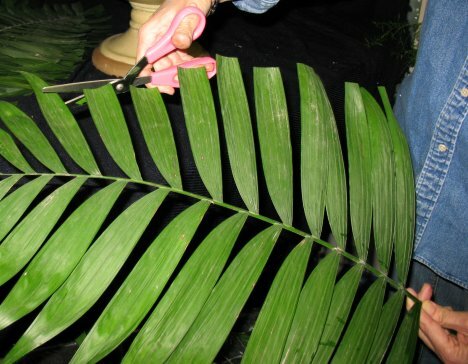 Remove the bottom leaves before inserting into the florist foam. Jade sometimes has browned tips or unattractive splitting. 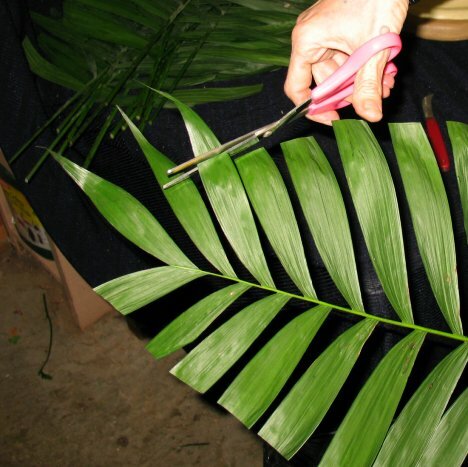 Florists often trim the leaves for a more uniform look and to remove this unsightly scarring of the greenery. 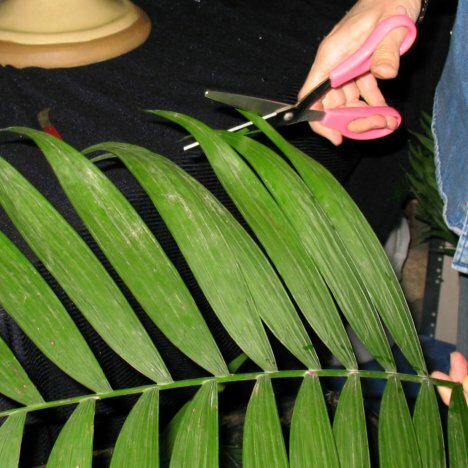 This is totally up to you, but regular scissors can be used without harm to the leaves. Trim off to an even finish to the top of the leaf. The finished leaf looks like this.